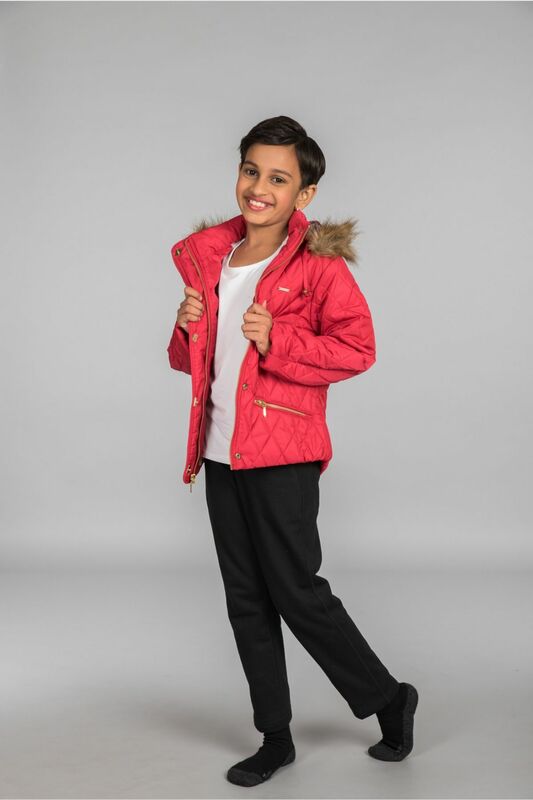 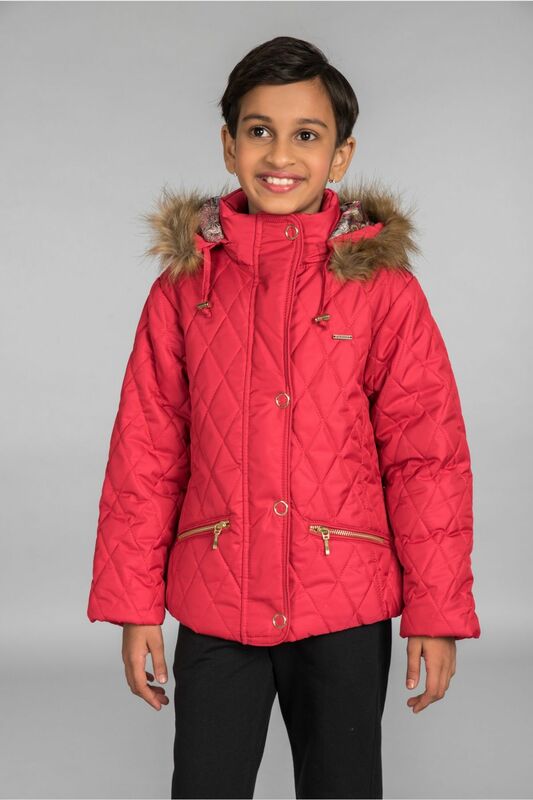 Classic red coloured winter jacket, designed for girls. 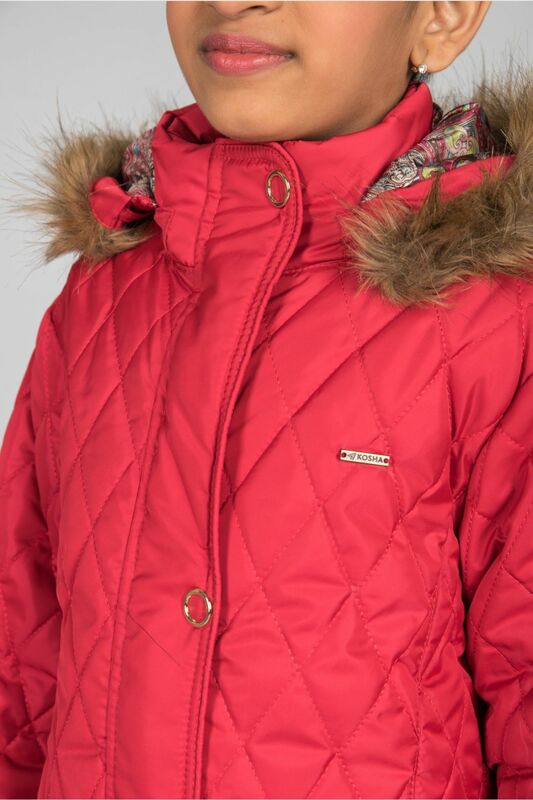 There's a floral satin lining with nylon on the outer surface and polyfill sandwiched between to keep children warm. 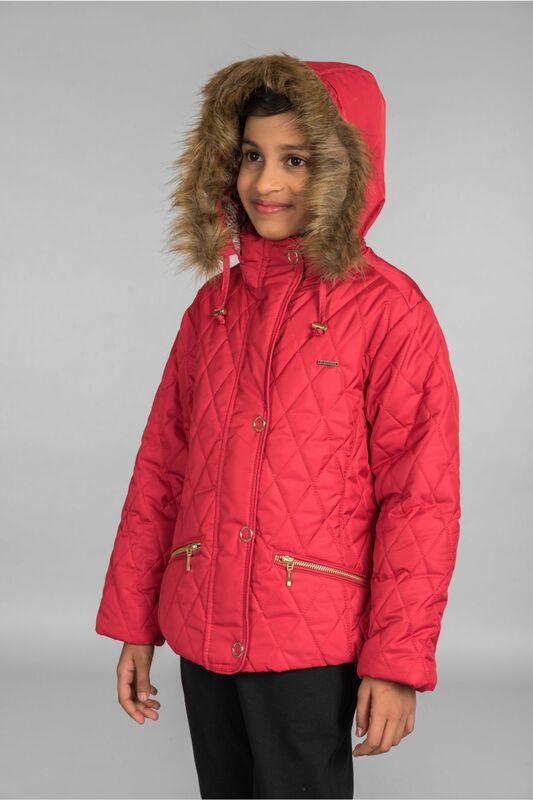 This jacket is water repellent hence holds good in snow and light rain. 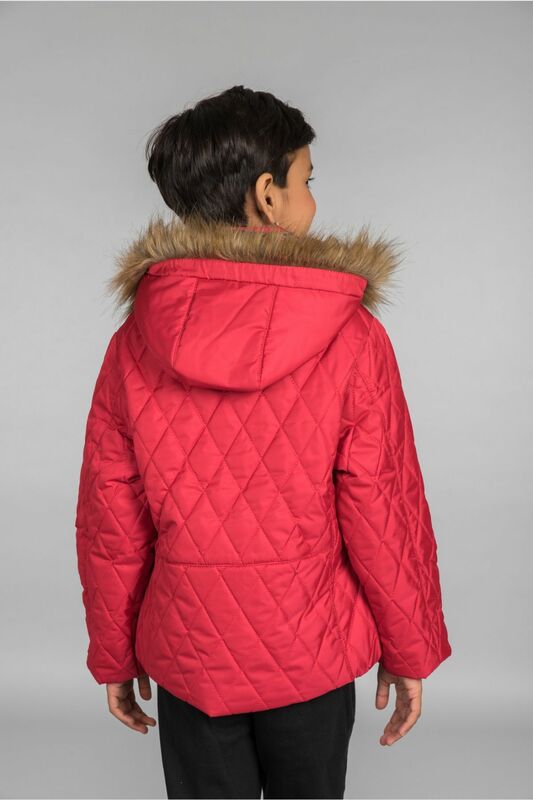 This Kosha jacket will add beautiful colours to their winter holiday making it a great one.